At the Tokyo Motor Show, Mazda Motor Corporation (MMC) is showing off a row of SKYACTIV technology products as a star exhibition. However, the real surprise comes when journalists around the world get a chance to try out the Mazda2 Electric Vehicle (EV) Range-Extender. Although it can not be referred to as an actual car test, but a chance to try this car gives the initial impression of the latest technological developments of Mazda electric car model. Mazda2 EV Range-Extender is still tangible prototype. Its base is the Mazda2 EV is powered by a 100 hp electric motor powered by a single supply of energy from a lithium-ion battery pack is 20 kWh coupled with a set of range-extender engine that consists of a small rotary engine and a gasoline-fueled generator. Range-extender technology has become one of the solutions to overcome the weakness of the electric car model mileage is a small matter. 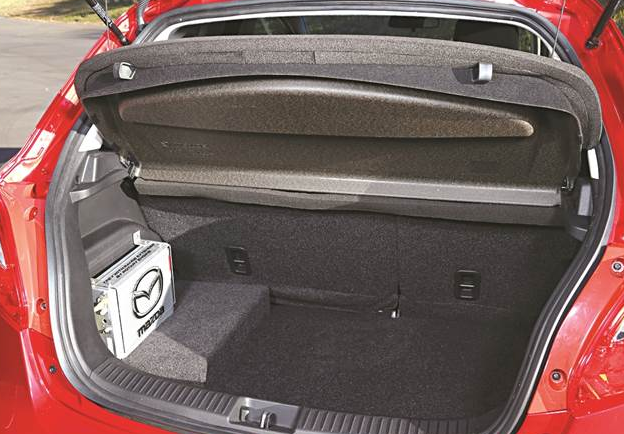 This time Mazda showed off the solution in the form of a small rotary engine which is compact is placed at the bottom of the Mazda2 rear trunk without taking up trunk space. Single rotor rotary engine with a capacity of 330 cc is designed to operate at a constant 2000 rpm and generate power 26 hp. Even so, Mazda claims if this machine can produce 30 hp at 4500 rpm and has the potential to reach 37 hp at 6,000 rpm. 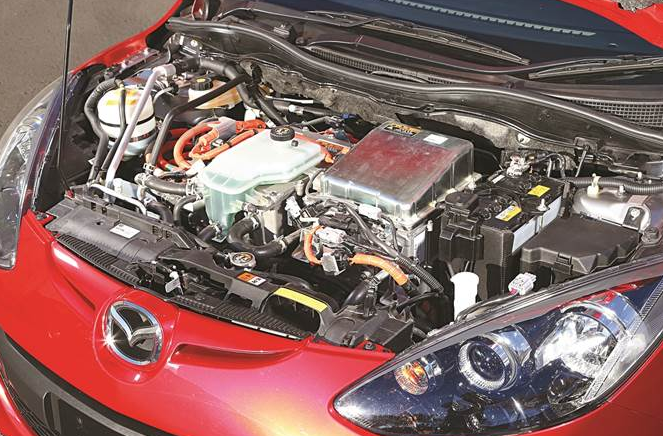 When the battery starts to run out of power, then the range-extender engine will work to recharge the batteries and maintain its power in order to keep the electric motor still works. Range-extender engine began operating at a speed of 10 kph, and his voice was constant even though the speed of the car increases. If you sit in the back seat, his voice sounded like a generator of electricity in the home, but more subtle. With the addition of a fruit machine in the rear trunk, that is, the weight of the Mazda2 EV Range-Extender is also becoming increasingly severe. 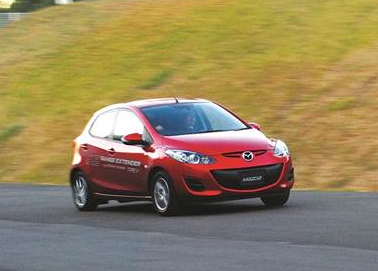 Mazda2 EV weighs 1,180 kg and with an additional range-extender system, its weight increased by about 100 kg. The driving, in accordance with the general character of the electric car model, the Mazda2 EV acceleration presents a smooth, quiet and responsive. Communication is given of the accelerator produces acceleration that feels instant. In between acceleration, the sound operation of the rotary engine from the range-extender system gives a distinctive difference. In the future, when the car is ready to be marketed, the noise should be eliminated. 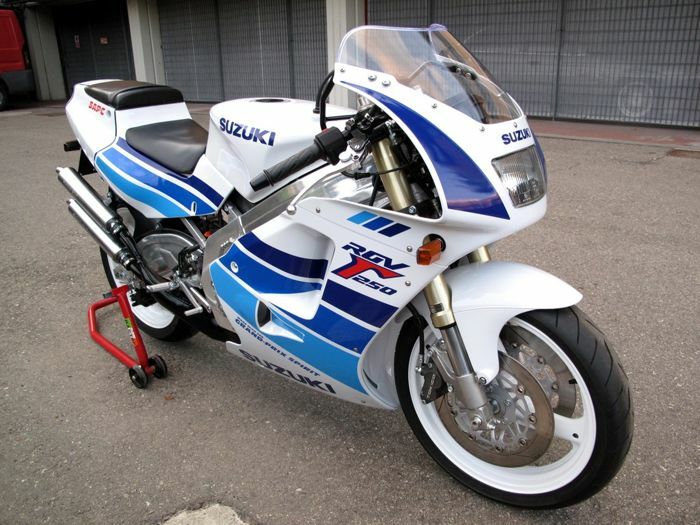 Braking is also quite smooth. A little surprising considering the character of the electric car model braking is usually felt more strongly because of the operation of the regenerative brake system, but not in this Mazda2. For the control, can be felt if the car is getting a lot more load on the back, it can be felt during cornering quickly. By relying on the electric motor and the battery only, the Mazda2 EV can travel up to 200 miles. But thanks to the range extender technology, This Mazda-EV claims this car can double the mileage. Program Manager, Powertrain Development Division, Takashi Suzuki, said "With a 10-liter petrol engine that drives the range extender, the distance could be two times before". Indeed, this car will not be marketed by Mazda, but the range-extender technology used could be an alternative option to immediately realize the presence of low-emission vehicles in the world in the style of the Mazda.